Published July 13, 2014 at 822 × 539 in Join me on my seagoing cowboy journey! 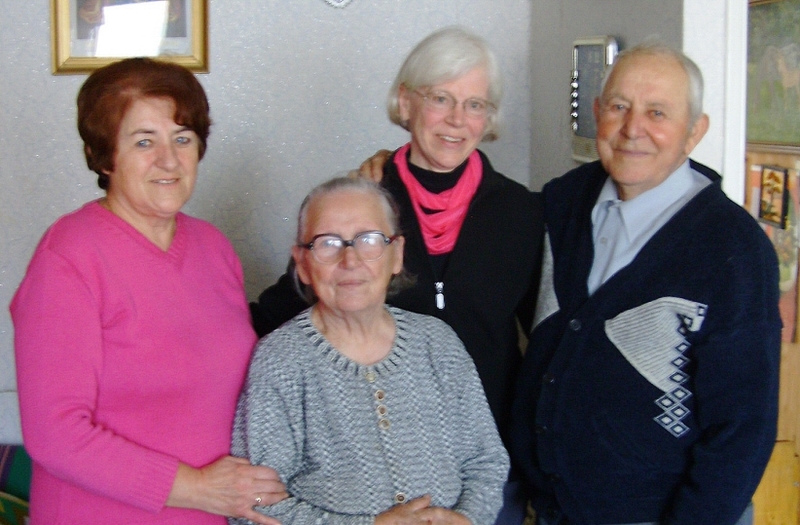 A joyous meeting with the Stanislaw Debert family in Pruszcz Gdanski, Poland in October 2013. Stanislaw received a heifer from the Heifer Project and two horses from UNRRA in late 1945. Peggy Reiff Miller meets with Stanislaw Debert, his wife, and a daughter in his apartment in Pruszcz Gdanski, Poland, October 2013.